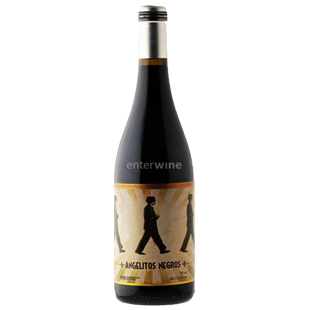 "The first in a line of three reds is the 2013 Angelitos Negros, pure Tinta de Toro matured for seven months in used oak barrels, 50% French and 50% American. It's a fruit-driven Toro with aromas of cherries in liqueur, flowers, pollen and Mediterranean herbs; it is perfumed and showy while keeping the poise and restrain. It is also juicy and soft, with unnoticeable tannins and good volume. This wine is a very pleasant, approachable version of Toro."